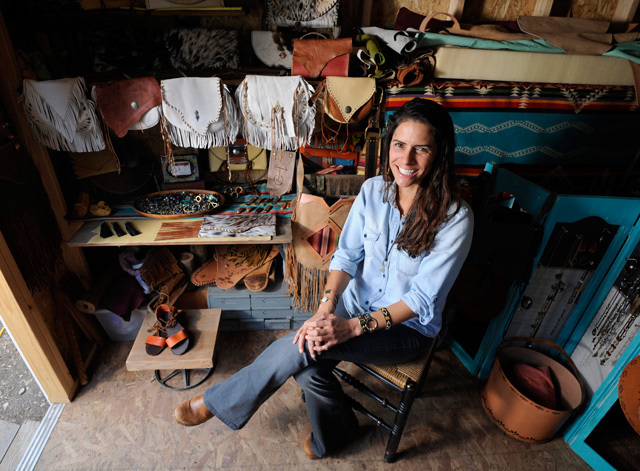 “Make it personal.” This is the guiding principle behind Mi Refugio Projects, Tiffani Corral Ortega’s line of handmade jewelry, purses, shoes, blankets, baskets, and more. She chose the name Mi Refugio because it means a personal refuge, and it also reflects where she lives and crafts along the Gaviota Coast. Her work stands apart due to not only her focus on quality materials but also in her dedication to making unique treasures that suit the specific tastes of her customer. When I first encountered Mi Refugio Projects at a craft fair, I bought my sister her birthday gift right then and there. Even though we were not physically making the bracelet ourselves, it felt as if my sister and I played an integral part in its creation. Together, we chose the custom leather straps and the designs and wrapped different bracelets around her wrist to get just the right fit. The process behind buying a Mi Refugio item may be just as special as the finely crafted end result. 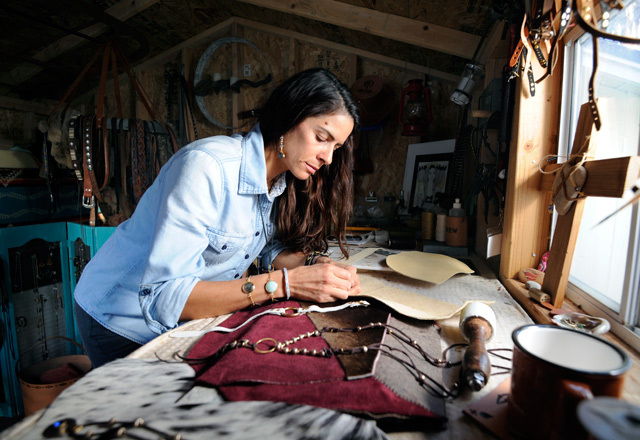 Ortega, who donates a portion of profits to charity, sells her work through Instagram (@mi_refugio_projects), on Etsy, and at craft fairs, such as the upcoming artisan market at the Santa Barbara Wine Collective (131 Anacapa St.) on December 18, 1-5 p.m. See mirefugioprojects.com.